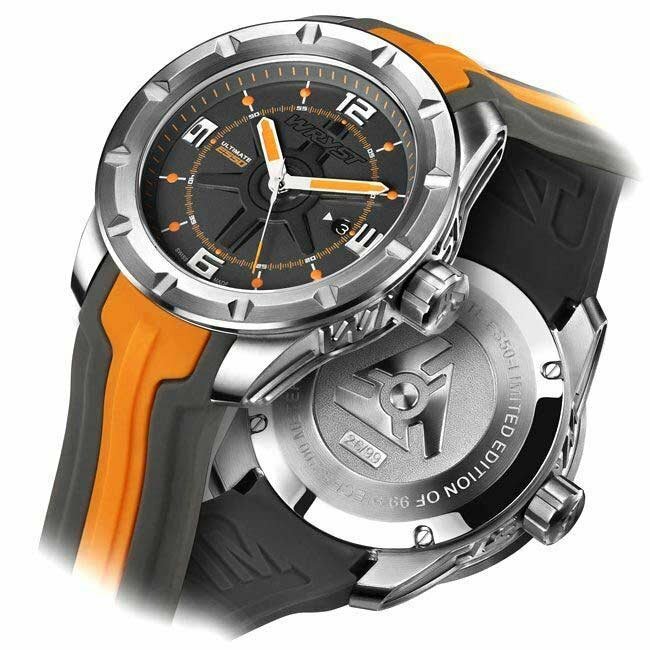 Orange Sport Watch WRYST ULTIMATE ES50 Swiss Made limited edition of 99 pieces only with a bold feel and engrave case sides designed for Extreme Sports. 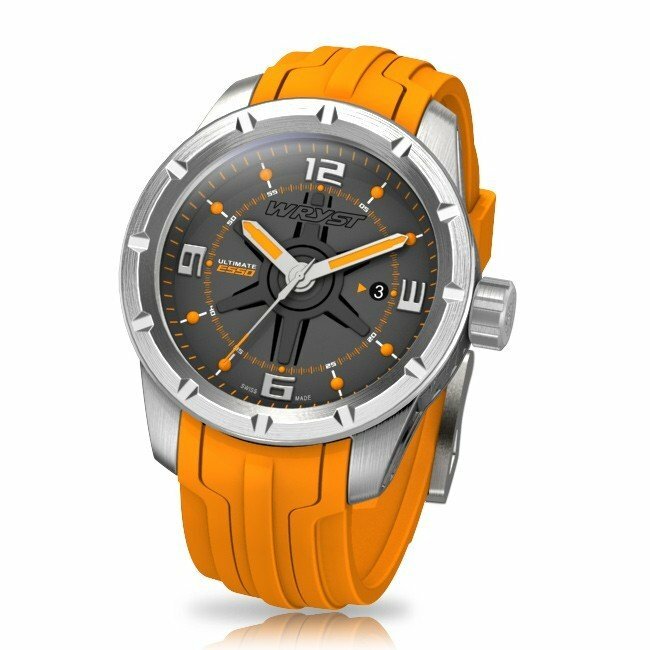 The 45mm case size and a bright orange color style the watch has been created to make a statement. 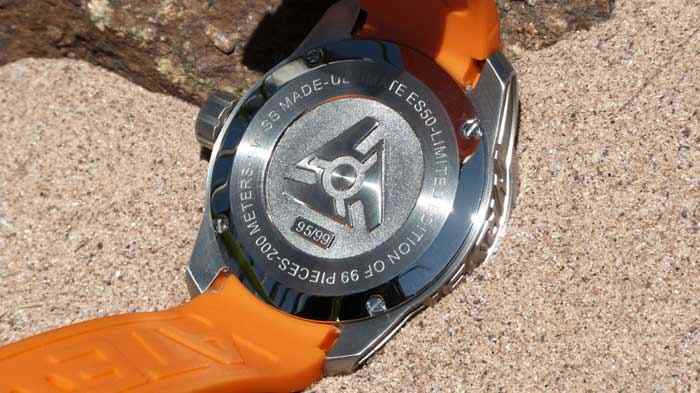 Strongly built and with sapphire crystal, this is the ideal sports watch for any outdoor sports. Stand out with style with an exceptional Swiss Made sports watch today. TWO STRAPS INCLUDED! 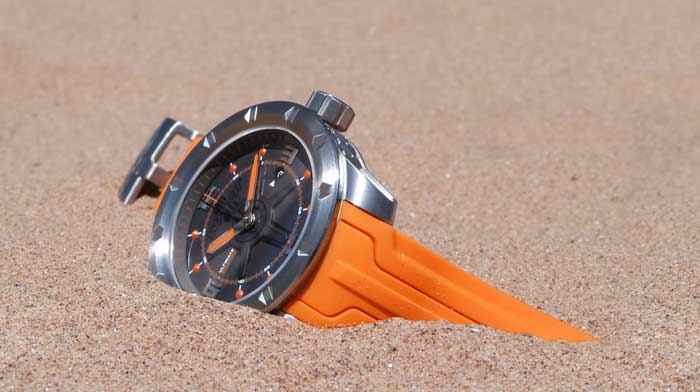 The Orange Swiss Sport Watch Wryst ES50 is produced exclusively in a small edition of 99 pieces. 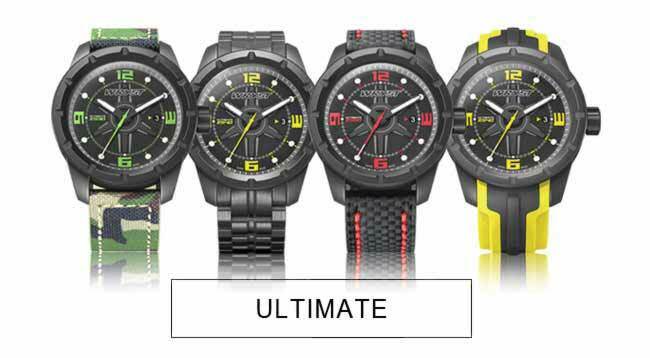 The ultra sporty ULTIMATE watches are dynamic and a spectacular testimony of unique craftsmanship. The case sides are engraved 0.6mm deep with the Swiss watch brand name WRYST. 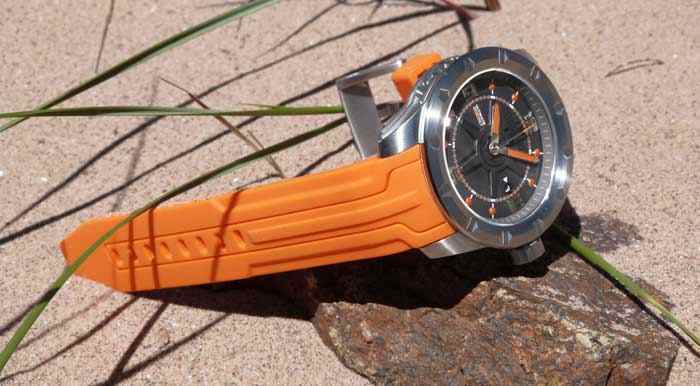 This ES50 has a unique combination of dark slate grey on the dial with details and a colorful orange strap. 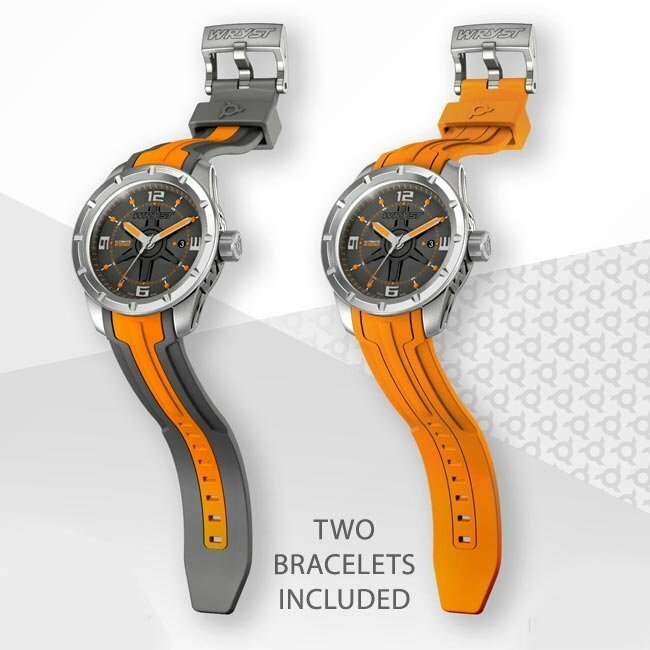 An extra bi-color silicone strap is offered with this watch in grey with a central orange line.